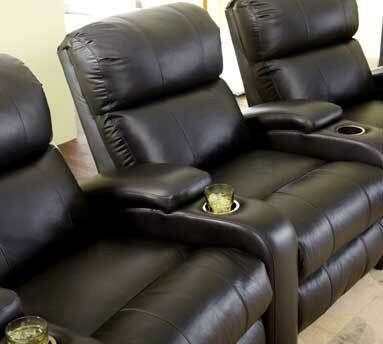 This giant home theater seat is relatively new to the home theater world but has made a big splash. Released in March 2010, this seat is available exclusively at Best Buy stores in their Magnolia home theater rooms and at Theater Seat Store. - Made with proprietary Berkline mechanism which is superior to any other in design and mechanics in the home theater arena. - Available in premium black or brown leather on quick ship. These pictures should say the rest......there's also a video on the product page for this seat on the site that covers some additional benefits to this model worth noting.